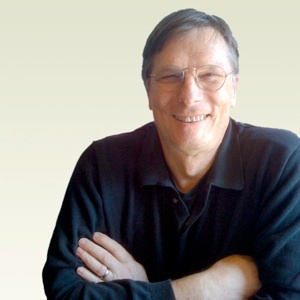 Paul A. Majka has been a registered Architect in California since 1983. Prior to engaging in private practice, Paul enjoyed a lengthy career representing other architectural offices, construction management companies and private property owners to deliver a wide variety of projects including hotels and resorts, restaurants, public assembly and leisure facilities. As well, his works include high-rise buildings, commercial office building shells, cores and interiors, large mixed-use structures and building complexes, centers for research and development, educational facilities and residential projects. Mostly working in the San Francisco Bay Area, he has completed projects abroad – in Europe, Latin America, Asia, and the Middle East. Drawing on his rich experience and believing that a well-designed and well-built environment are crucial to a satisfying quality of life, Paul delivers the services critical to achieving successful building programs, large and small, employing organizational and communication skills to lead project planning, responsibly respond to environmental, community, regulatory and economic issues, and optimize project cost and delivery time through programming, budgeting and value engineering, scheduling, progress reporting, contract preparation and administration. Utilizing 3-dimensional virtual building CAD and BIM (Building Information Modeling) computer applications and project management and business software, Paul applies his creative abilities and technical knowledge to optimize designs and attends to the details for the benefit of clients and building users, to plan construction to achieve building efficiency and quality, to monitor progress, maintain schedules, to control costs and to resolve design and construction issues. Paul holds a Bachelor of Architecture degree from the University of California at Berkeley, with post-graduate studies in Urban Design at the University of Paris in France.